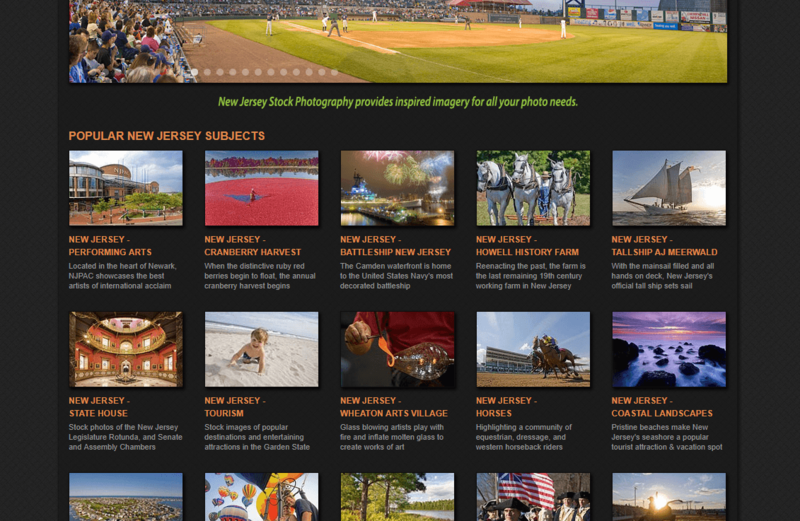 Organizing your photos into separate galleries and collections makes things easy to navigate for your site visitors. For the purposes of this article, a “gallery” is a set of images, and a “collection” is a set of galleries. (Your website tool/platform might use different terminology). 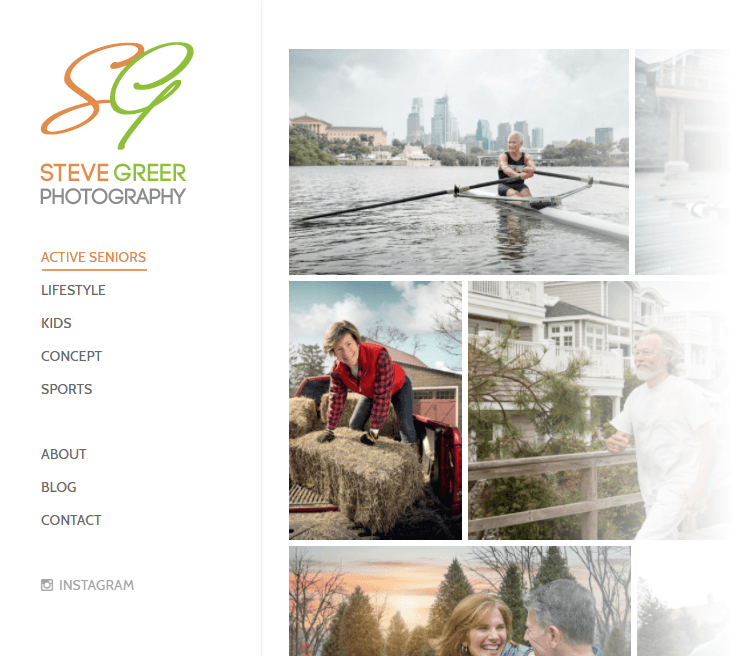 While most photographers do this intuitively (just like organizing the folders on your computer), it’s useful to go through all the various guidelines listed below, to see if you could be doing a better job on your photography site. 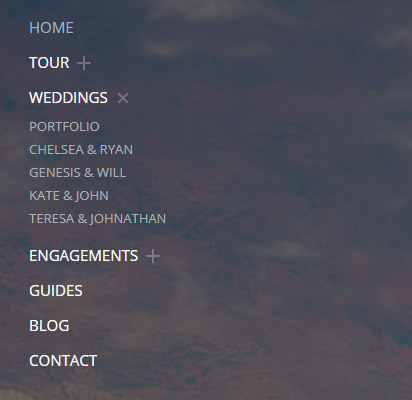 I hope you’ve read all the advice on how to improve your site’s navigation menu. You should apply the same care to how you organize your images. And if you have a prominent search box on your site, that’s great. But not all people search, most will still want to manually browse through your image archive. If the current state in your career dictates that you only need a few tightly-edited portfolios, then by all means, you don’t need to complicate things. But the rest of this article is about organizing a larger image archive. 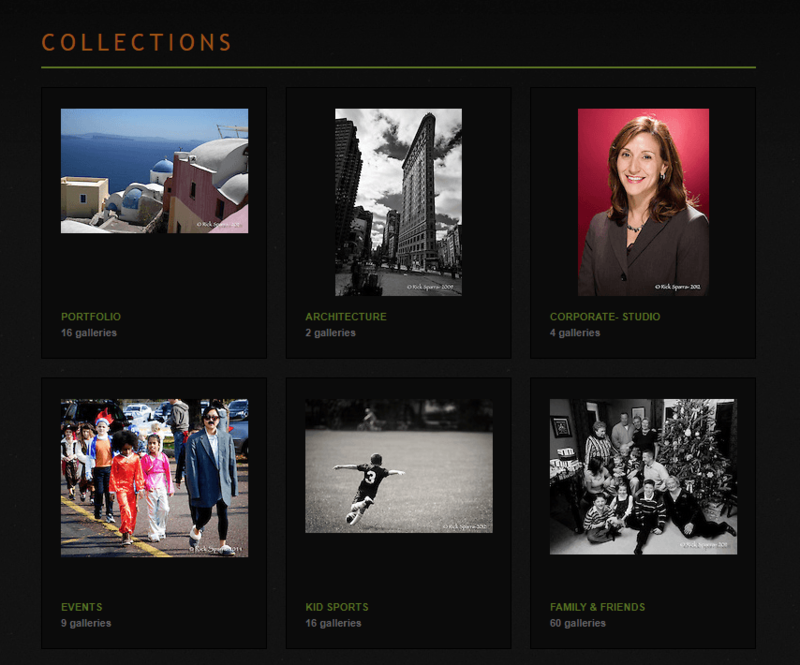 Most photographers just need a 3-level structure (collections > galleries > images). When do you decide to group galleries together in a collection? The overall number of galleries dictates this. It’s all about making things easier for people to navigate your site. Most people that come to your site and only interested in a specific subject. So if they see 5 galleries on topic A mixed in together with 7 galleries on topic B, they’ll have a harder time picking one. That’s when it makes sense to create to master collections (Topic A and Topic B) so people can make this choice from the beginning. All these small bits of friction are what increases the “bounce rate” and makes people leave your site. If your image archive is really large, you could also created sub-collections as you see fit. In this case though, it would be useful to have breadcrumbs at the top of the page, letting people navigate back to a parent collection if needed. 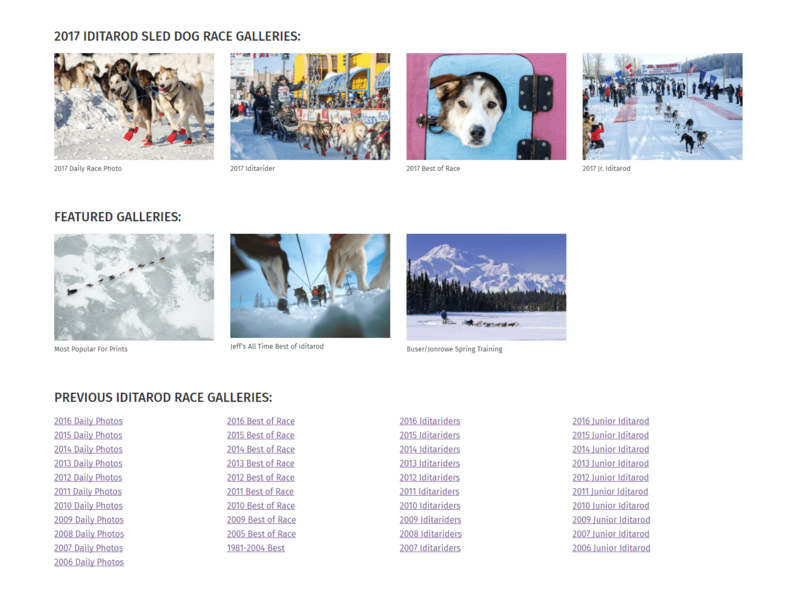 But on again, if you have a single-focus photography website, it’s fine to just have a 1-level structure: all galleries listed on one page, without grouping them into collections at all. 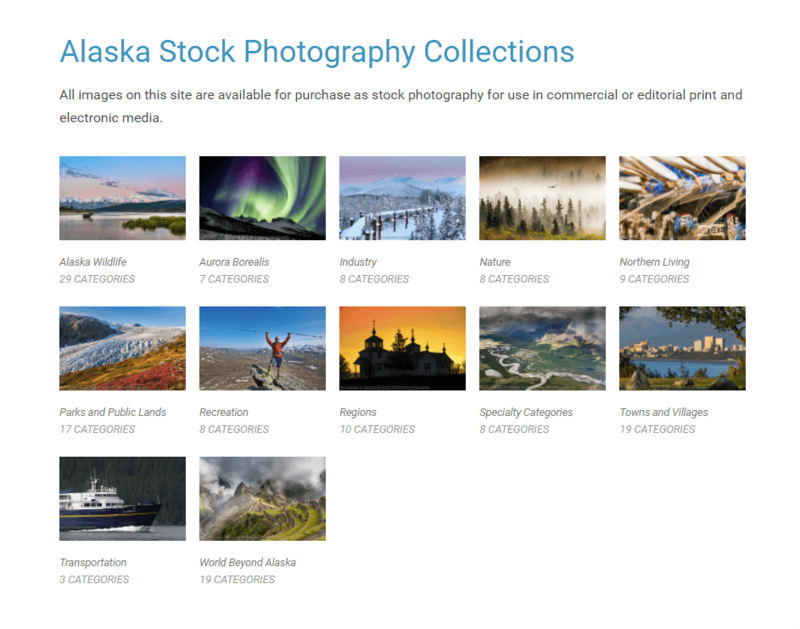 Example 1: Alaska stock site alaskaphotographics.com shows a large set of featured galleries on the homepage, but also has a Collections page where it lists the master collections. Whatever method you use, think about making it scalabile & consistent. Will you be able to maintain the current gallery/collection structure in 5-10 years (without it becoming messy and overwhelming)? You can, of course, combine different collection naming strategies. For example, you might structure your travel photos by location, but then also have a separate “Black-and-white” gallery with b&w selections from your entire archive. This is especially important for photographers combining multiple specialties. P.S. Have you considered breaking your work into separate websites? Read this as a guide: Having separate photography websites or merging them? You can’t really expect people to one to view 2 completely disjunct collections, so you make that choice clear right from the start. Here’s an example of this in action: Shirley lists out here 4 main collections on the homepage, letting people choose what they’re interested in. 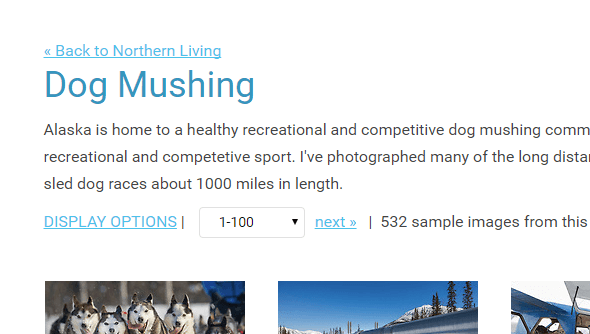 If your homepage acts as a portfolio piece (showing a “best-of” gallery or a single photo or a slideshow), then having your collections in the navigation menu is fine too. What type of desktop do you have? Be honest. The difference is that only you see the desktop, whereas your website is browsed by your whole audience. 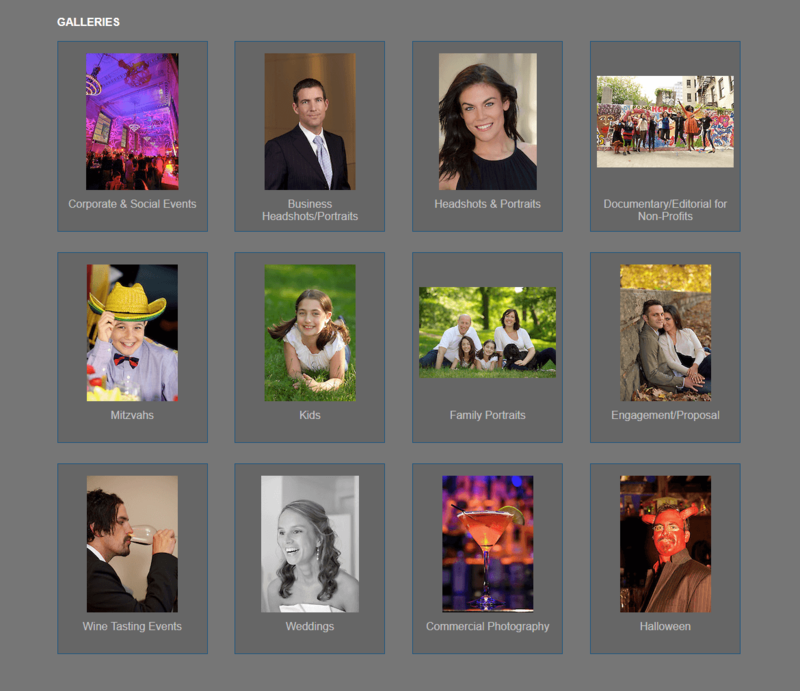 How you structure your galleries will help users navigate your site more easily.